It’s been a while since we shared something in our blog and it’s been even longer since sharing a recipe with all of you! But, we’ve been challenged to tell you one of our favourite meat recipes and this one is going to blow your socks off with how easy and delicious it is. Plus, you get to learn a new way of preparing your favourite Spanish Tapas, ‘Patatas Bravas’. 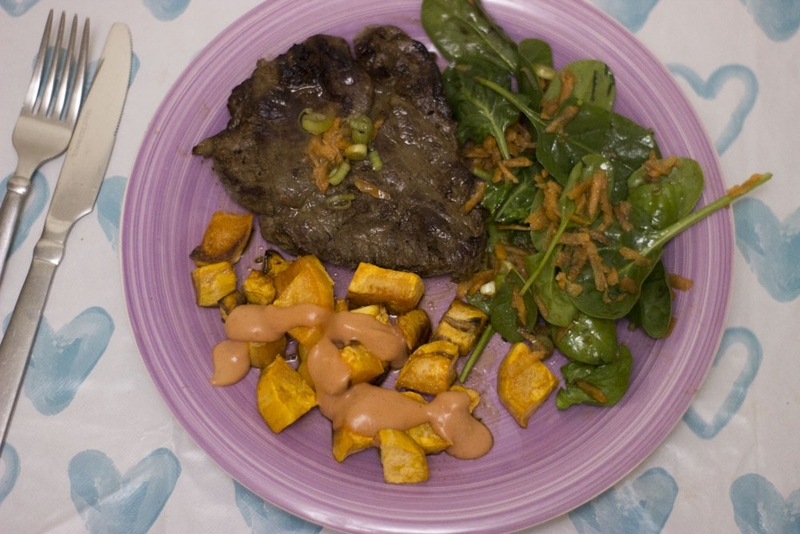 Beef Steak with Sweet Potato Bravas is the perfect option for a home date night. You know those times when your budget is a bit tight and your time is even tighter BUT you still want to set aside a night during the week to have a bit of a relaxing moment with your partner? Well, because we have two little ones and no baby sitters close by, we try having our own ‘date night’ at home once a week. Having it at home means that: 1. It’s much cheaper 2. You’ve got more freedom on what and how you want to cook your meal for 2. Ok, so first things first. Heat the oven to 200C fan/gas 6. 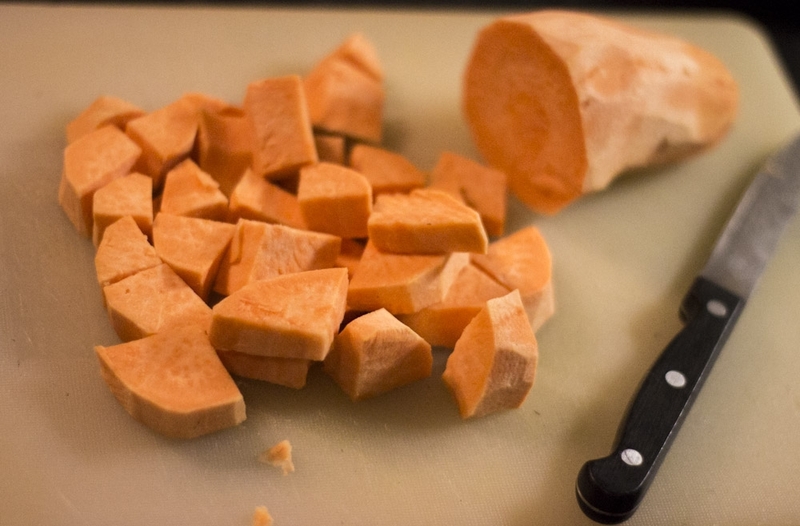 While it’s warming up, peel off and cut in edges your sweet potato. Put the pieces on a baking tray. Add some salt and scatter some olive oil to them (approx. 2 tsp should be enough) Put them in the oven. They will be done in approximately 20 minutes. 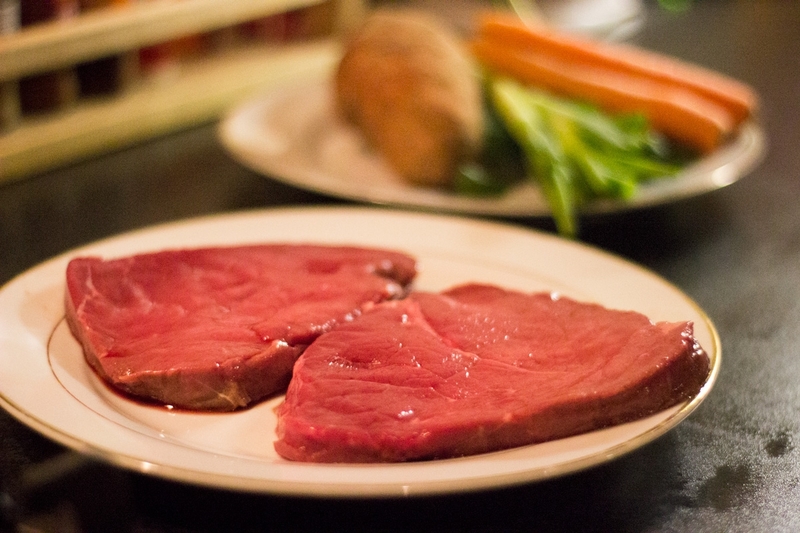 While your sweet potato is baking, you can then add salt and pepper to your steak. 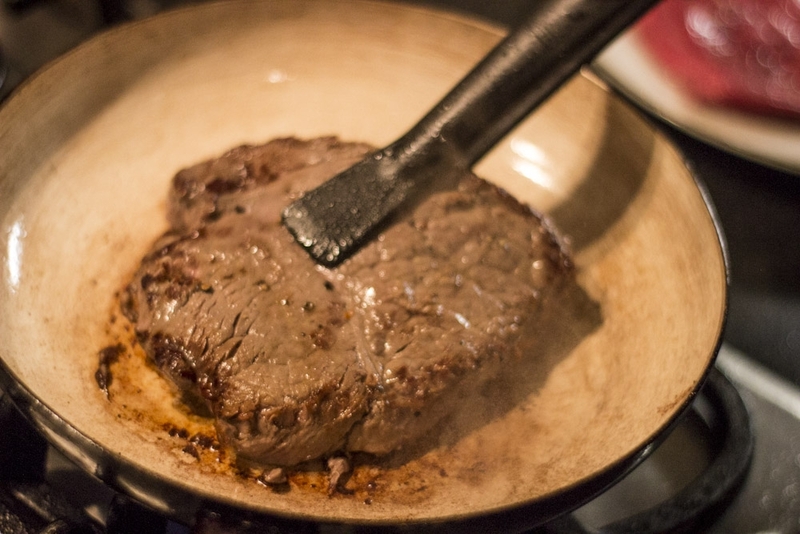 Heat a non-stick pan with 1 tsp of olive oil and then pan-fry the steak. (depending on the size of your pan do it one by one). 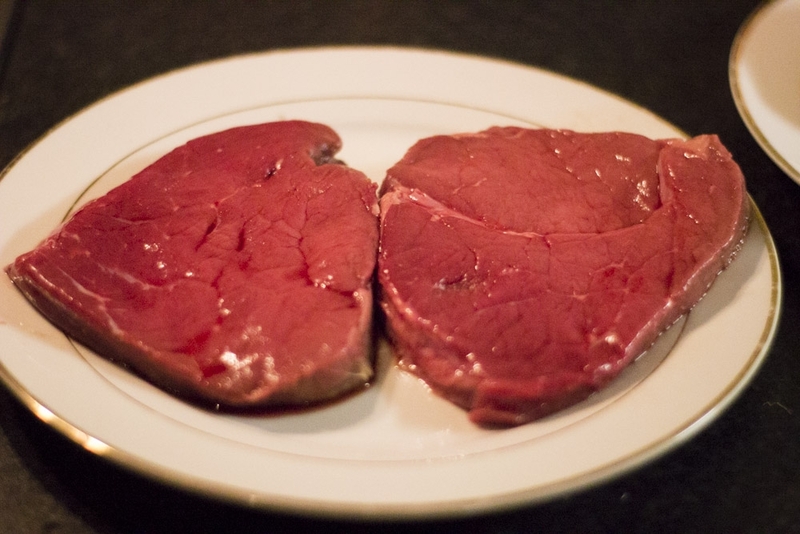 Now the trick to make a delicious medium done fillet is to first cook it on a high heat for 1-2 minutes and then turn it side to side on a lower heat until it’s cooked well enough for your taste. 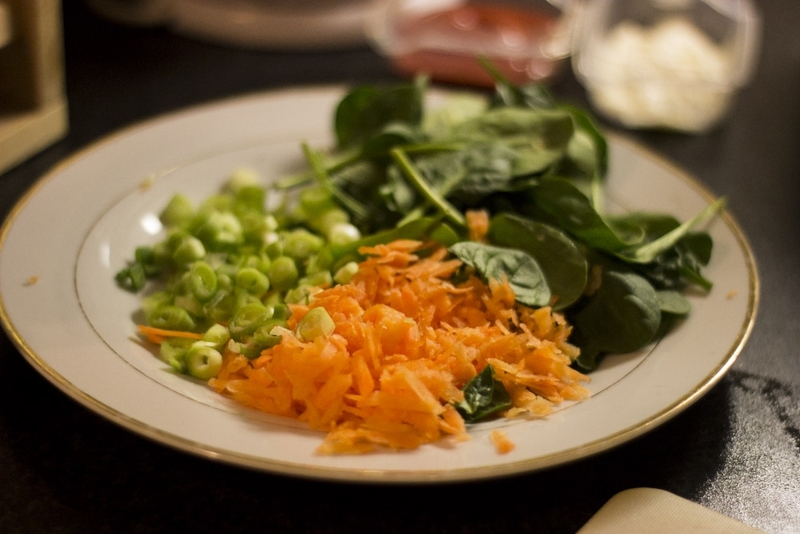 You then cut or grate the carrots, cut the spring onions and mix them with the baby spinach leaves. Dress your salad with 1 tsp of balsamic vinegar for 2 tsp of olive oil. Add salt and pepper to the taste. Last but not least, you’ve got almost everything ready except your Salsa Brava! 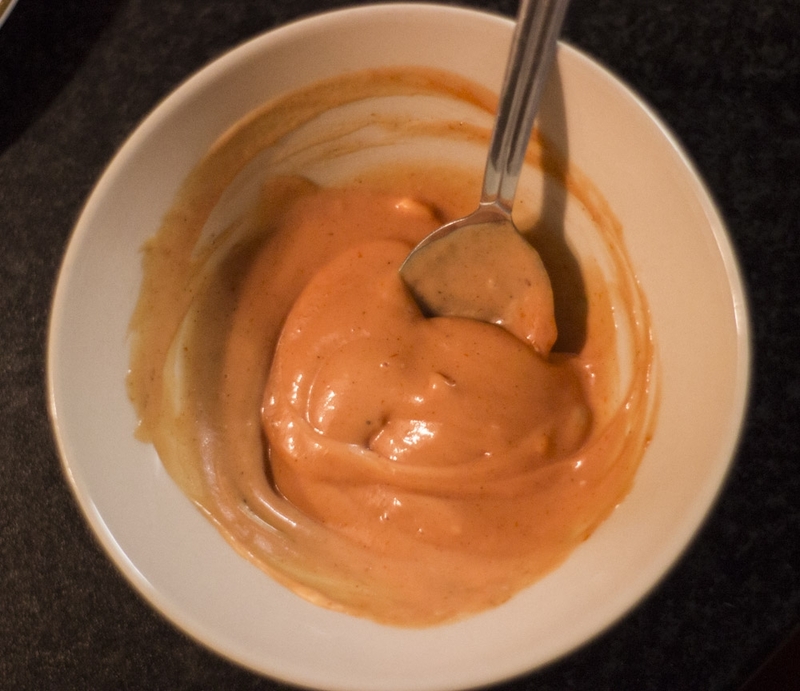 To make that typical Spanish sauce you will need to mix 2 portions of Mayonnaise for 1 of ketchup. (quantity depends on how much you want to make) But I’d say if you mix 2 tsp mayonnaise for 1 tsp of ketchup you should be right to at least give it a go. Once it’s all mixed just add some cayenne, pepper and a pinch of salt. This will make your sauce a bit spicy. It’s meant to be like that. 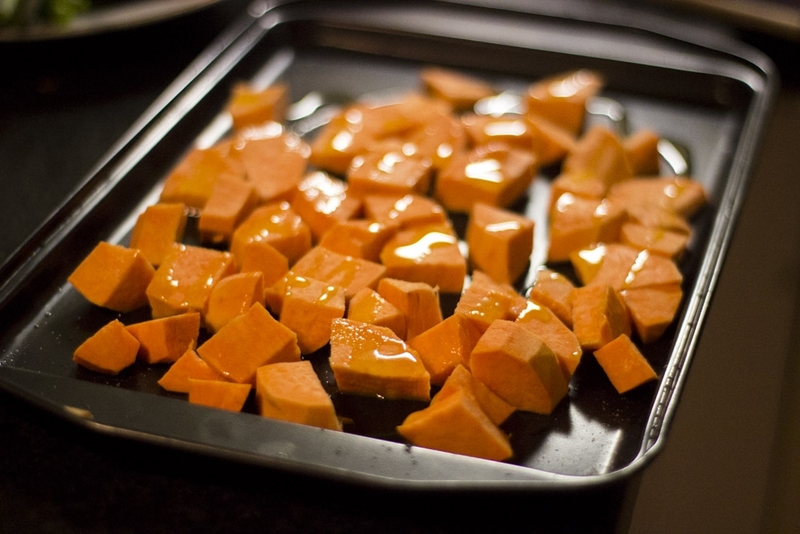 You then pour it out on top of your sweet potatoes. Hope you like it! Let us know how it went when you try it!